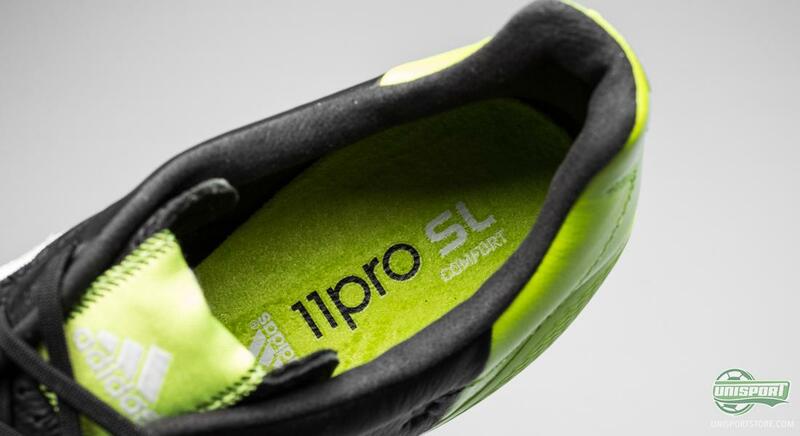 The elegant 11Pro is highly popular among players like Lahm, Illare and Lampard. 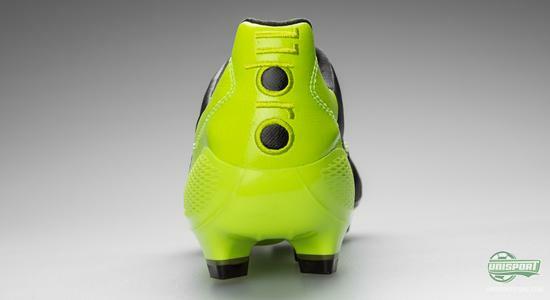 The boot is tailored for the sophisticated player, with the big overview. And you would think that a boot like that could never deliver a low weight? In fact it actually can. 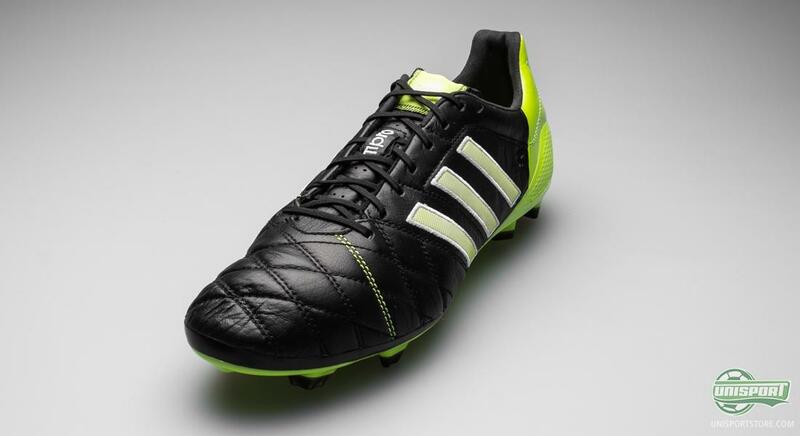 Adidas have shaved no less than 67 grams off of the Adidas 11Pro football boot. The result was: The Adidas Adipure 11Pro SL. A boot with incredible comfort and a fantastically low weight. The football boot is, on the forefoot, made of ultra soft and supple kangaroo leather that provide a fantastic touch on the ball. In order to increase the durability of the leather, as well as to keep it supple, additional stitching has been added to the forefoot of the boot. Hereby, your Adidas Adipure 11Pro SL football boot will stay soft for even longer. On the midfoot and on the heel, the kangaroo leather is replaced by the Adidas SprintSkin II material, which we also know from the Adidas Predator LZ II SL football boot. The SprintSkin II is a thin, yet very durable material. It provides both low weight and helps prolong the lifetime of the boot. The boots heel has been strengthened, so despite the low weight, there is no compromising on the stability in the boot. Seen from above, the Adipure 11Pro SL looks just like the regular 11Pro, but when turned upside down you can clearly see the difference. The regular 11pro has the Adidas Comfortframe. This just wouldn't do for a SuperLight model, so Adidas instead chose to look at alternative options. The SL model has been equipped with the Adidas Sprintframe 2.0, which we also know from the ultra light Adizero football boots. This sole boasts a high level of flexibility, as well as stability. Furthermore, the sole is, in some places, just 1 mm thick and is extremely responsive, and is hereby able to instantly follow the movements of your foot. 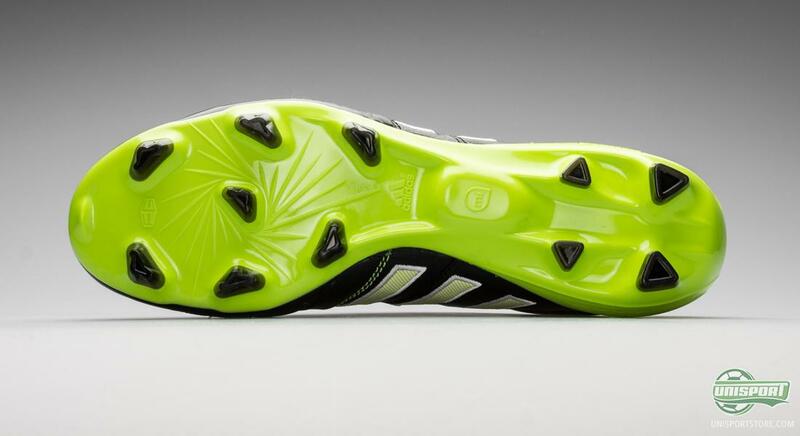 The stud configuration has also been borrowed from the Adizero series. 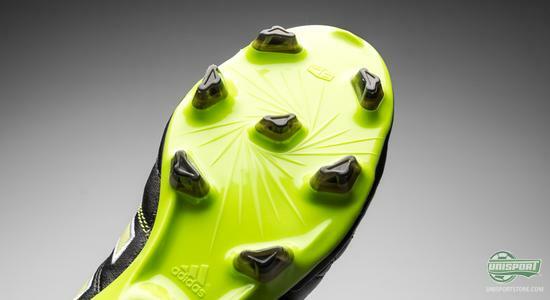 Adidas have chosen to focus on acceleration, sideways direction changes, as well as rotating. All of this has has been the point of departure for the brand new stud configuration, the Speedtraxion, which is very much shaped for speed and good pitch grip. The studs are triangular, just as it was the case for the previous Traxion 2.0 stud configuration. But this time around the studs are slightly more bladed on the one side, which allows for a larger surface contact area. This ensures an effective kick-off, both in connection with acceleration and direction changes. The position of the studs is not coincidental, and ensures that the bladed side is always in the direction where you push off from when kicking off. But how quick are you then gonna be with all this technology? 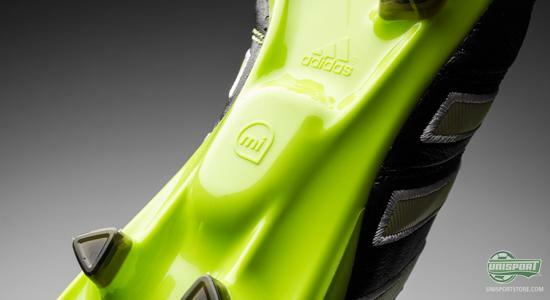 There's no need to just be guessing, as the boot is naturally compatible with the Adidas miCoach. Now you can, similar to the pro's, measure your own performance during training and match and see how far you've run, how fast you run and much more. 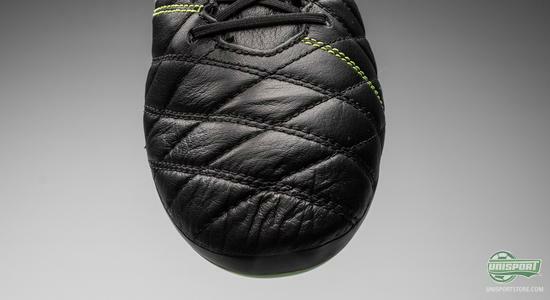 On the inside of the tongue you will find Memory Foam, so you can quickly get a personal fit in your Adidas Adipure 11Pro Sl football boots. Memory Foam is a foam material that shapes itself according to your foot, and therefore also increases the comfortable feel of the boot. 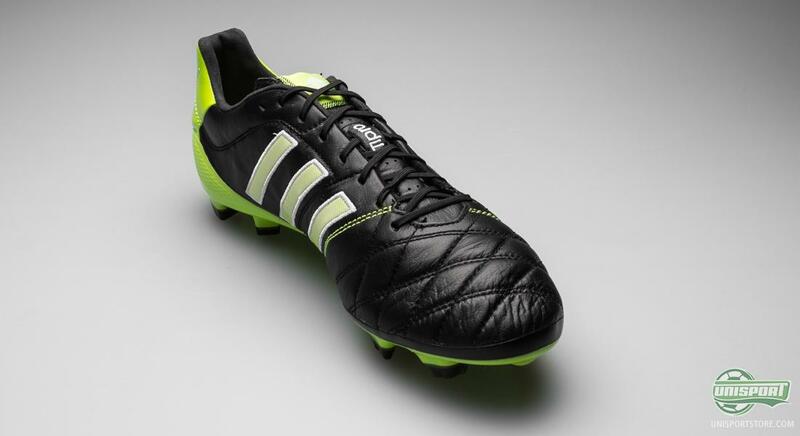 So how does the Adidas Adipure 11Pro SL then weigh in at? It comes it at a lean 189 grams, meaning that it is actually right in there with the the top lightweight boots. In other words, we are talking about a very complete football boot that combines the best from synthetic and leather boots. 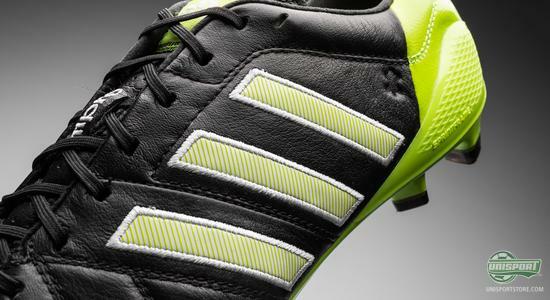 Adidas call the the 11Pro football boot Class in Comfort, and you gotta give it to the Germans. It is a boot that delivers a fantastic performance, and on top, the comfort in the boot is in a class of it's own. It is a sure winner that Adidas have produced here, and we are already looking forward to receive them in our warehouse in the beginning of March. This new colourway for the Adipure 11Pro SL is more less identical to the black colourway that the regular 11Por has already been released in. 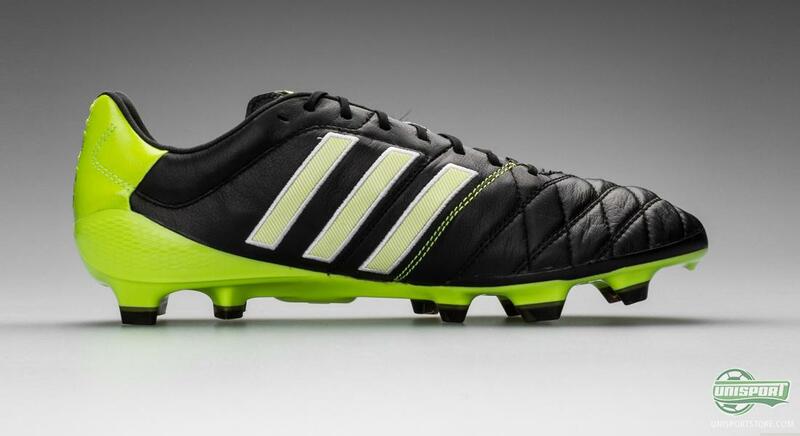 The combination of black and solar slime is one that Adidas has had great success in using on previous Adipure football boots. The Adidas Adipure IV was hugely popular with this colourway, and here at Unisportstore we are certain that it will be the same story with the new Adidas Adipure 11Pro SL. 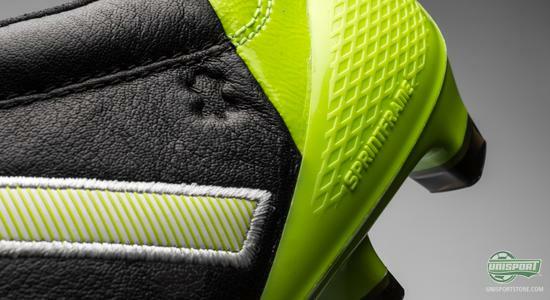 It is a football boot that truly unites the best of two worlds: comfort and speed. 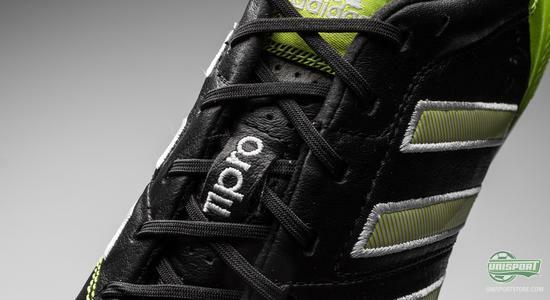 How does the Adipure 11Pro SL sound to you? Is this the boot the want to get ready for spring season? Take your football passion to a social level and share your comment with us on Facebook and Twitter.